Discussion in 'NEC PC-88 and PC-98+ PC-FXGA' started by Dr.Wily, Jul 27, 2016. 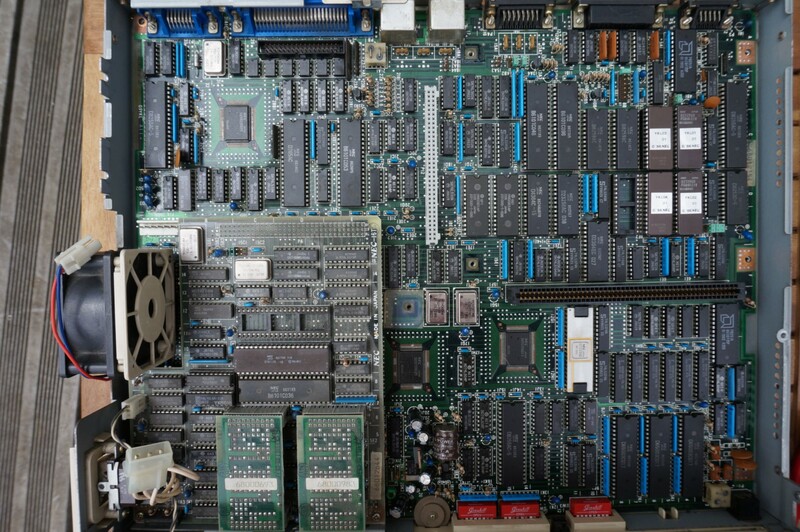 I notice there is a lot of documentation on later models of PC-98 like PC-9821 or all those following the integration of the 386 CPU. 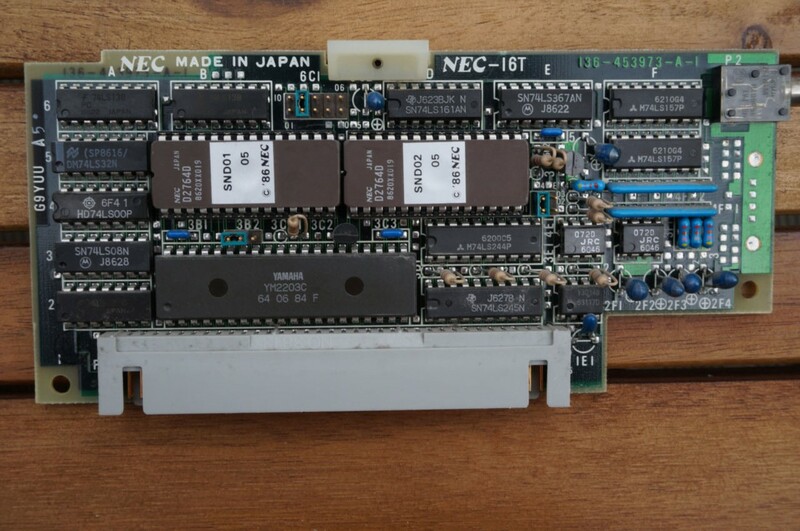 But early models, with Nec V30 CPU, are poorly documented on their bus (other than C-BUS), vidéo chip, and ram upgrade. 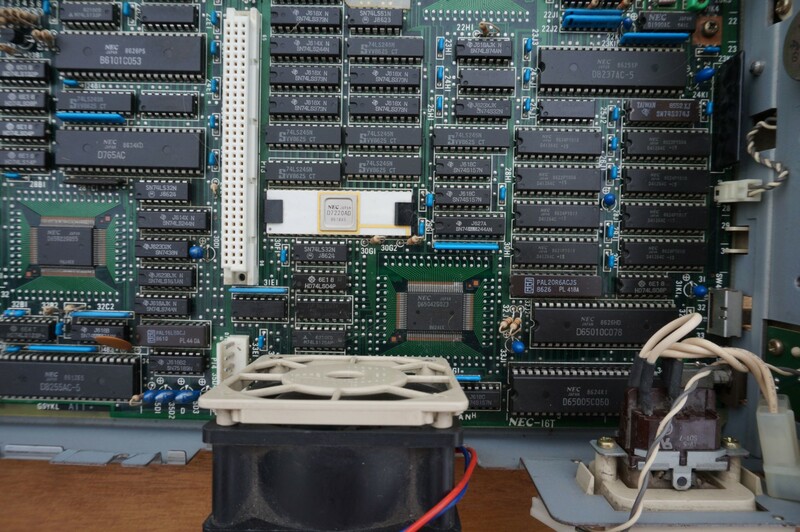 For example, the range of PC-9801V / VM / U / UV / UX has no documentation on how to upgrade it. There is some slots on motherboard. 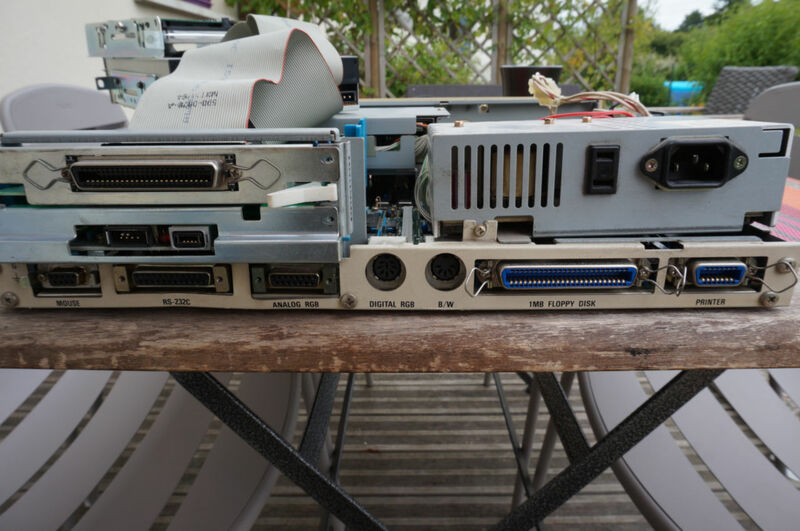 One is used for sound card and it's "not" C-BUS but more like than a large grey IDC connector. Is this connecor can host others extentions than a sound card ? 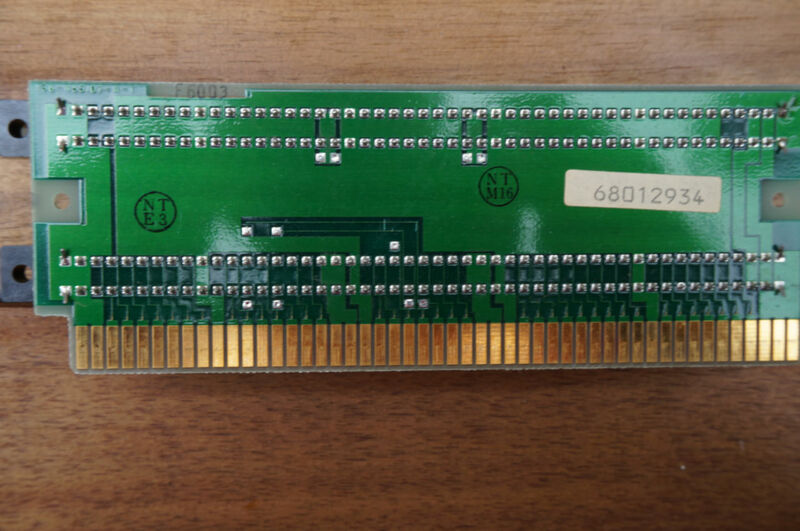 There is someone who have some docs or website about technical details on early models of PC-9801 ? Thanks. 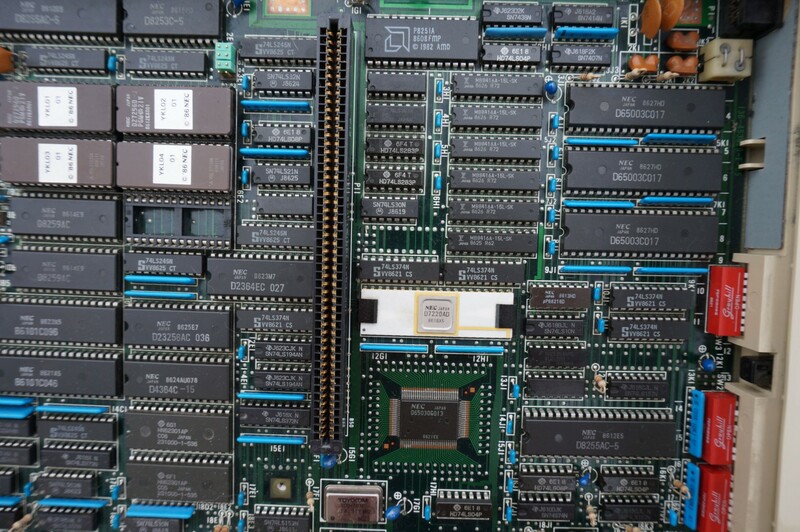 Some progress after complete disassemble of a PC-9801uv. 7 - unknow. On this PC-98 it is open. 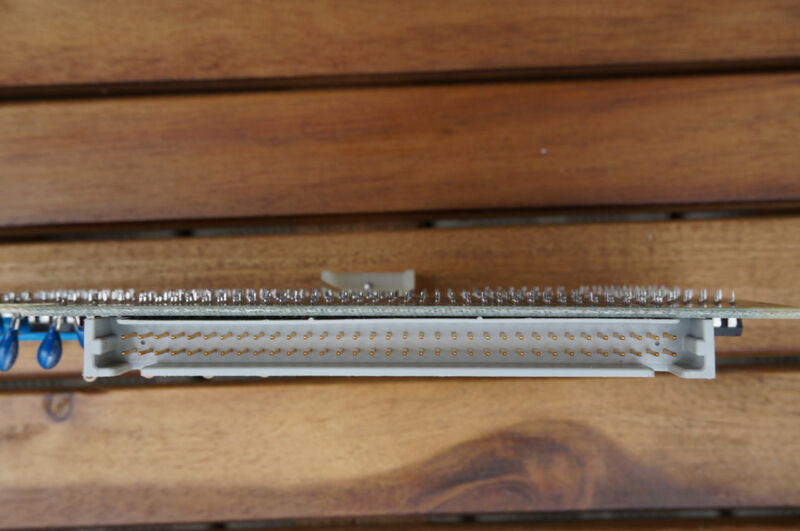 - Back of this model : there is standard 25 pin D-sub RS-232 com port. Specific connector for mouse, floppy and printer. The analog RGB output can handle both progressive (480p) and interlaced mode (240p) depending on SW1-1. 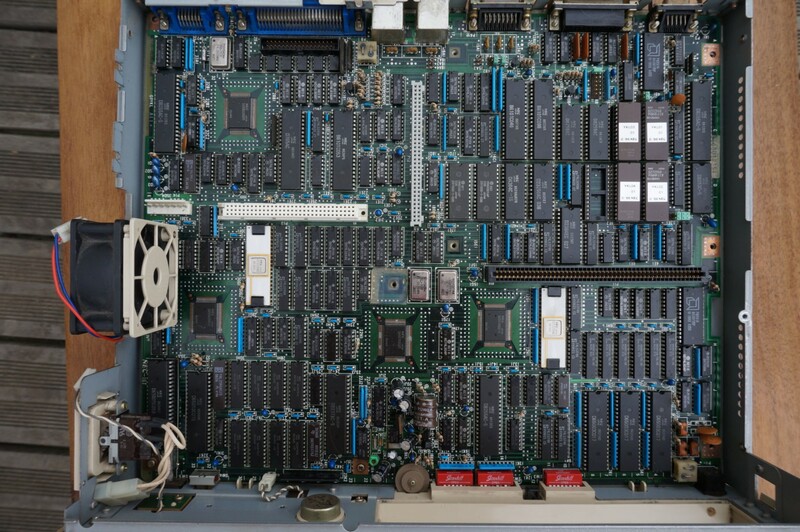 - inside this PC-98 : there is 3 removable boards. CPU board, sound card, and C-BUS hub. 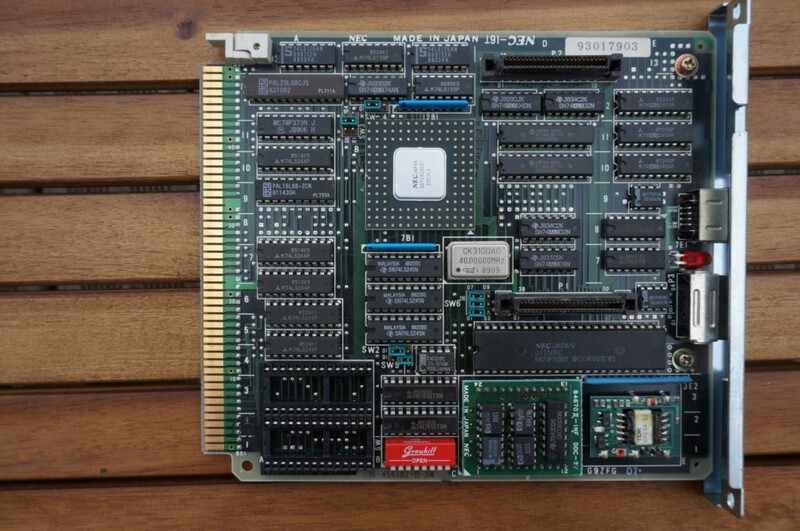 Back in the days, this is a beautiful piece of hardware beside western PC market with huge motherboard and no builtin video or sound. 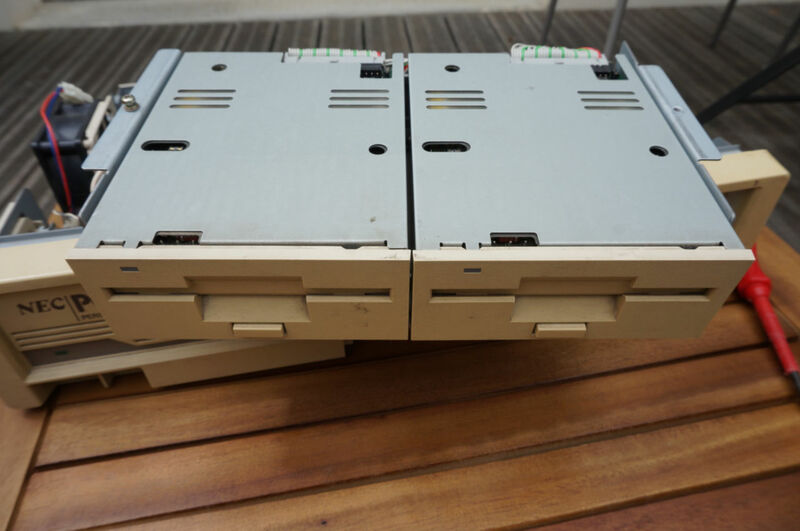 - The floppy drives : 3'5'' 360rpm 1.23mb drives. These give me a lot of headache. The best way to transfer data on an 1.23mb 3'5'' floppy is to find a 3 mode floppy drive. You can follow this useful thread. 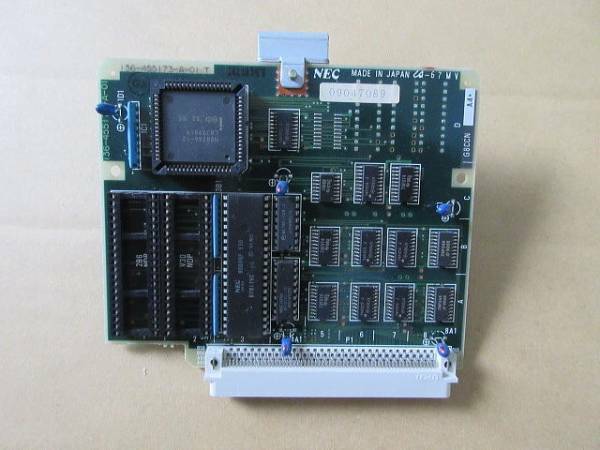 - SCSI B55 IV C-BUS card : purchased this card after successfully booting from a floppy disk. New storage device... new headaches ! This card works, but after a lot of trial and errors. There is no diagnotic or setup included in the BIOS of this card. But after set the dip switch and boot option on PC-98 side (DIP SW2-6) I manage to boot from HDD and use SCSI DVD drive. You can download the DIP setting that I find after some experiment. 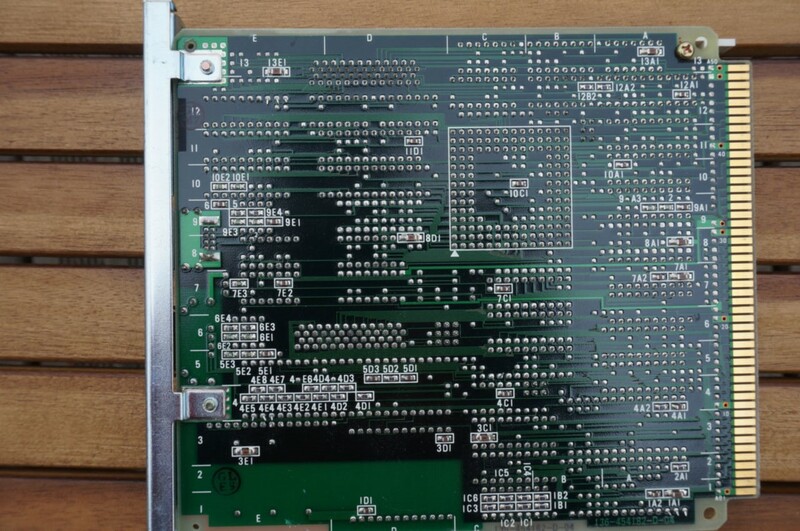 The C-BUS hub board. It working like ISA bus. 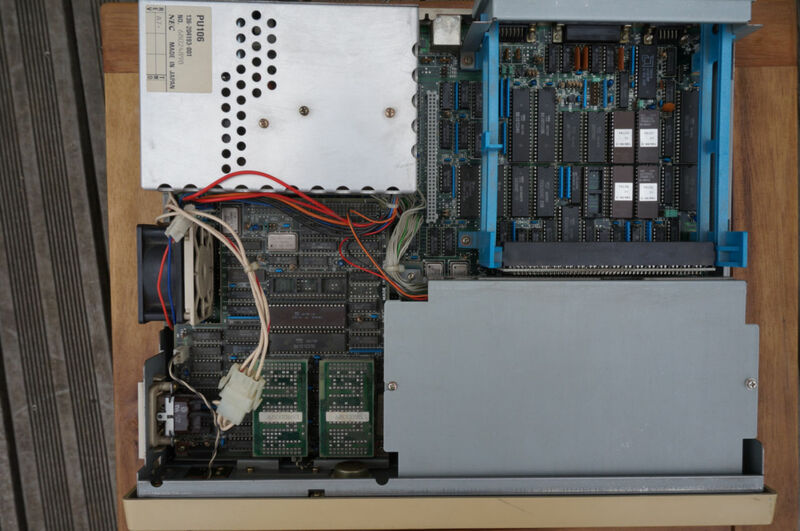 Here there is 2 slot, but you can add more devices if you install a hub board with more than 2 slots. Unfortunately, the form factor is too small to up over 2 cards. 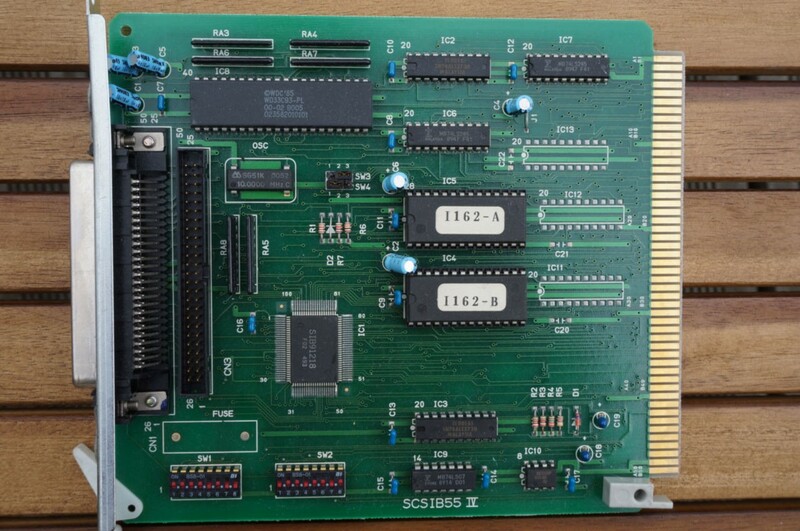 The sound card based on YM2203 FM+PSG. No PCM. This chip have fantastic sounds and this is really pleasant to listen the ton of musics there you can found on this support. Specficaly FMP Music discs. - Eve Burst Error : nice bass with only FM, no PCM at all. This sound card use a special connector. I think this is just a C-BUS with specific pinout. 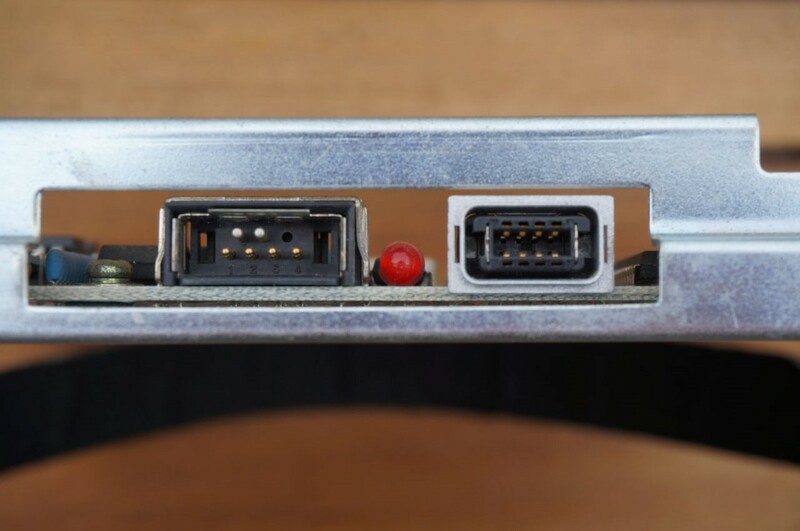 Can we plug others devices than sound card on this connector ? So, there is 3 way of extending possibilities. 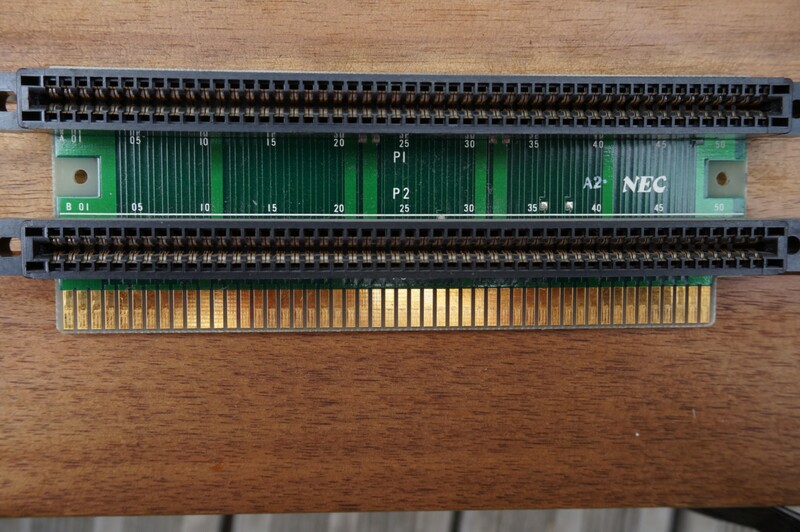 - CPU board connector : I think this is the best way to upgrade this model of PC-98. 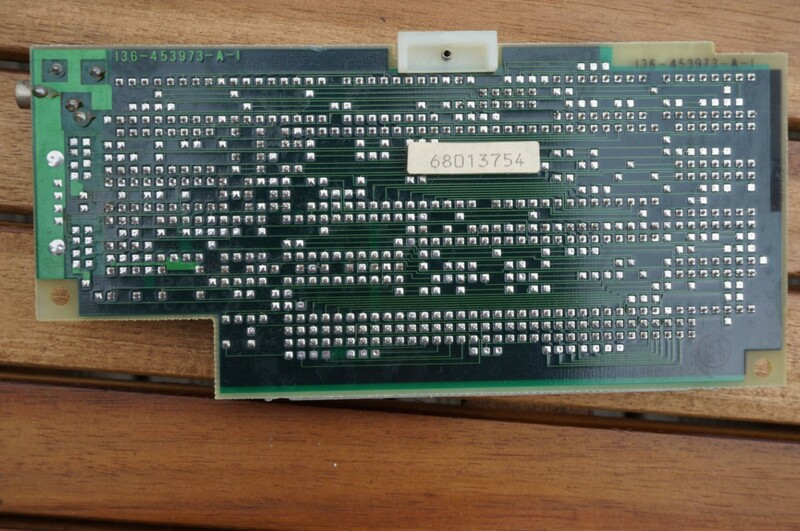 I found other CPU board like this. 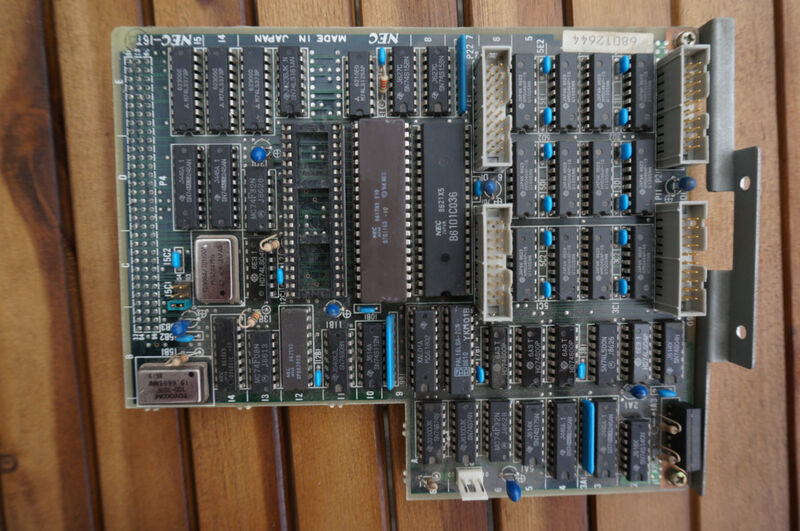 I think it's compatible but the form factor is not the same as present CPU board (plus there is not RAM connectors). On the other hand Connector seem to be the same. Voila ! 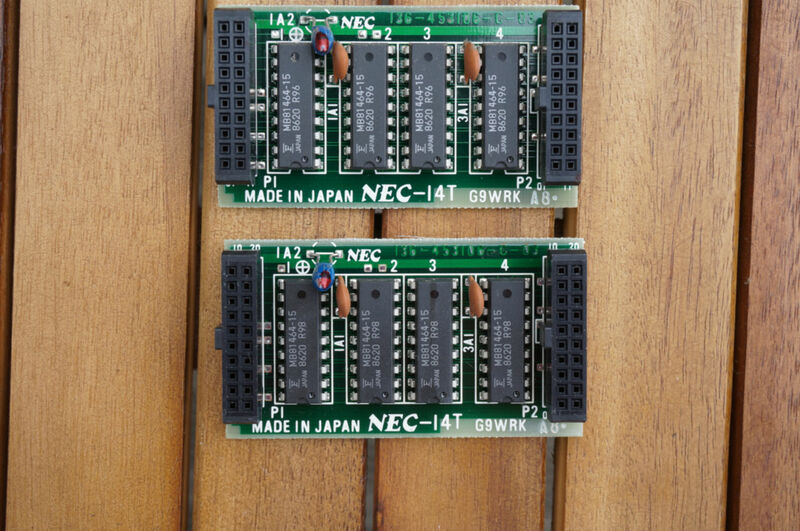 If any guy have more info on how to extend the PC-9801 models give your tips ! Thanks for this info. I too am working with PC9801-UV and UV2 models. 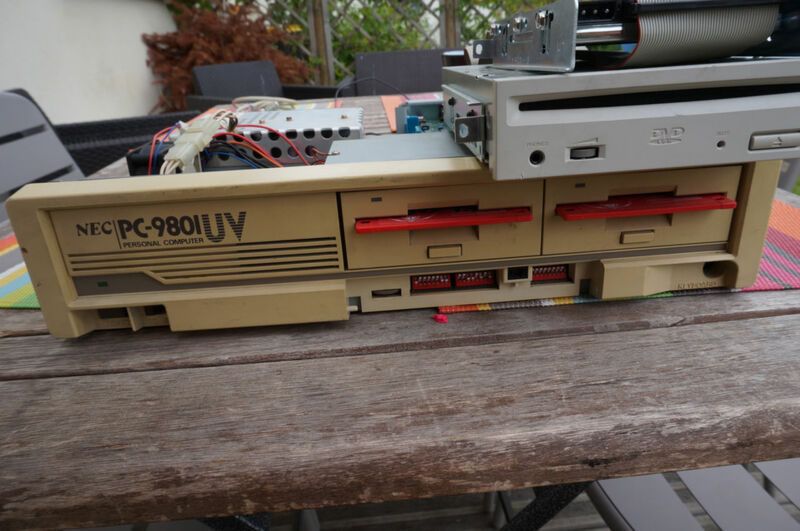 Primary upgrades I want to get working is USB drive to replace the FD1135D floppy drives a constant source of failures. 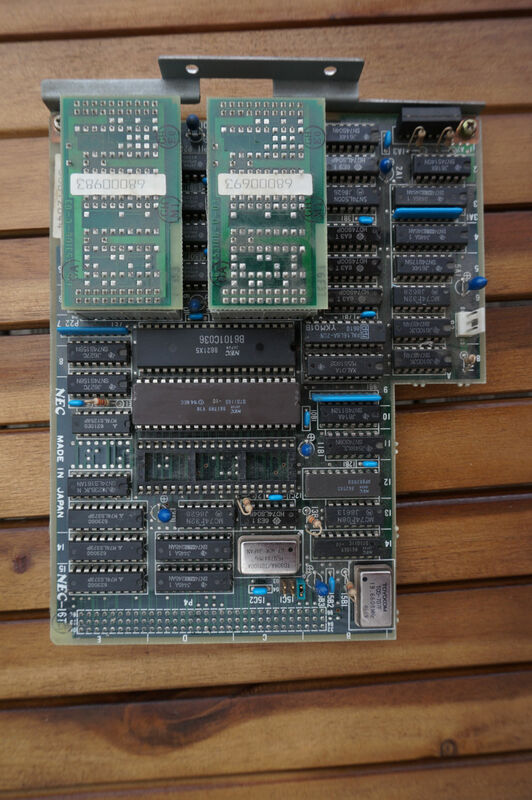 I understand some have had success with HxC floppy emulator with special VFO board to replace the FD1135D drives. I have not had good luck finding them to purchase. did someone replace the 286 in 9801uv with 386? Yes it's possible. 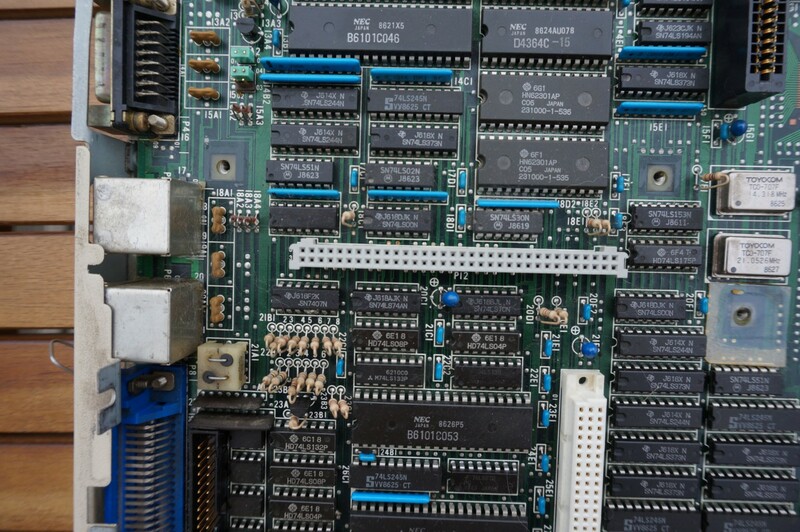 But you need to find the correct CPU board who fit into the CPU board's connector. I already searched but I never seen an upgrade.